An unclean vacation home will make a trip monotonous and boring. 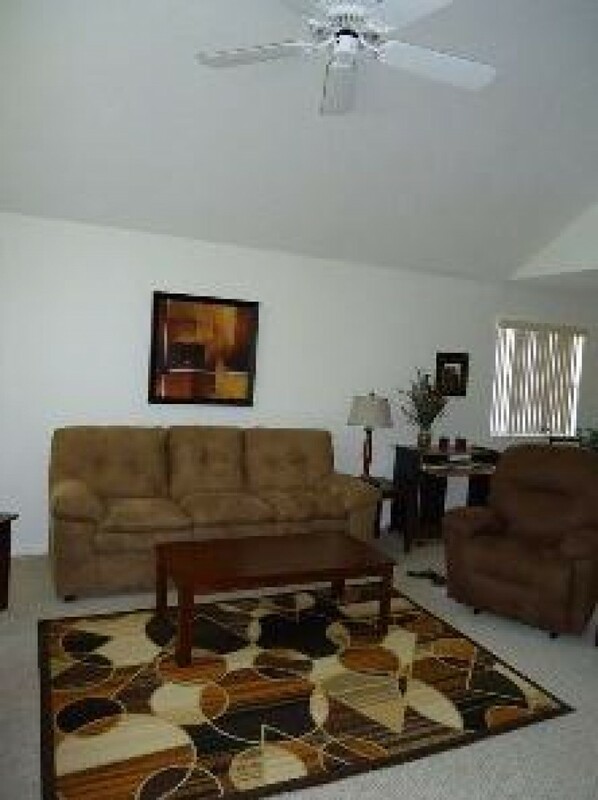 If you want a perfect getaway that is clean and quiet, our Kissimmee Vacation Rentals should be your first choice. Newly remodeled, this condo has a lot of advanced amenities and facilities to offer. This wonderful condo can be your sole abode after a round of golf or after a hectic day at the nearby parks. Find place by the pool side or get occupied with a thrilling book on the balcony while enjoying the nature - choice is yours. This is a pet free and smoke free Florida Vacation Rentals offering a plethora of recreational activities to do. The furniture in the living room, the stainless steel brand new culinary appliances in the kitchen, big screen TVs in the bedrooms, etc. are recently updated. All the rooms are air conditioned, which is welcomed by all guests. For fun, there is a private swimming pool. This is also a place for relaxation. Here, you are provided free services such as high speed internet, linens, iron and ironing board and cable connection. There is a bank just close to your stay. And the 24 X 7 ATM will make sure that you are never short of cash. If you are eager to go for sightseeing, do not miss the chance to marvel the gorgeous view of wildlife. It’s awesome.